Director/Screenplay – Michael Radford, Based on the Novel by George Orwell, Producer – Simon Perry, Photography – Roger Deakins, Music – The Eurythmics & Dominic Muldowney, Special Effects – Ian Scoones, Production Design – Allan Cameron. Production Company – Umbrella-Rosenblum. Oceania, formerly Britain, is at war with the continents of Eurasia and Eastasia. Winston Smith is a clerk at the Ministry of Truth whose job is to rewrite newspaper headlines to change the past and provide a more positive image of the government. Winston buys a diary and starts to write in a corner in his apartment where he is hidden from the omnipresent television screens that monitor the populace. He is drawn into a forbidden sexual liaison with Julia, a co-worker from the Ministry. However, they are discovered and he is arrested and taken to be tortured, broken and made into a good citizen again. George Orwell’s Nineteen Eighty-Four (1949) is a literary classic – not just a science-fiction classic but one that has become set texts in various English literature classes. 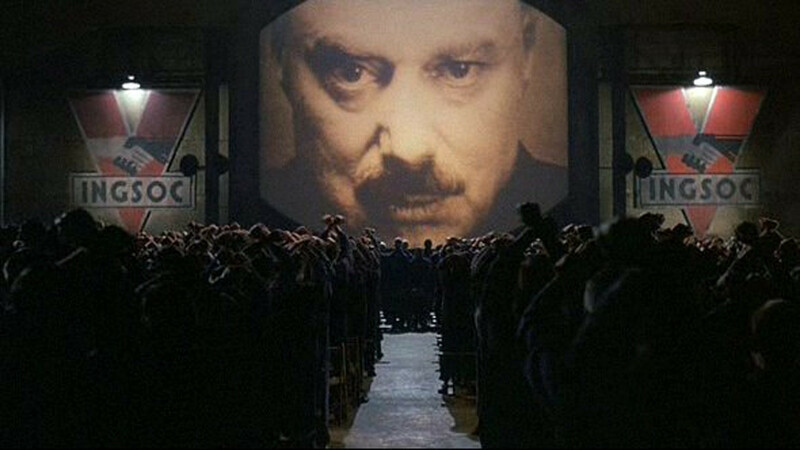 In terms of science-fiction, it is the single most influential Dystopian work, with dozens of books and films having borrowed the imagery of Orwell’s malevolently omnipresent totalitarian state and its breaking of the individual’s spirit. There are no more potent and savage a series of indictments of the anonymous machinery of totalitarian power than the images that Orwell emphasises – of the future of the omniscient state as a boot stamping into the face of humanity forever, or of O’Brien holding his fingers up before Winston to ask how many he sees – “Four” “And if the state says three fingers, how many do you see?” Terms like Newspeak, Thought Police and Big Brother have gone on into general recognition – it even became the name of a reality tv series Big Brother (2001– ) wherein contestants are placed in a house wired with tv cameras – and phrases like ‘Orwellian’ or a ‘1984 scenario’ are frequently used to suggest a totalitarian nightmare. George Orwell was the literary pseudonym of Eric Blair (1903-50). Blair came from a lower middle-class British family – his father was a civil servant who worked in the Opium Department in India. Blair for a time joined the Imperial Police in Burma, worked as a teacher and then went to fight for the socialist cause in the Spanish Civil War. It was back in England that he found his calling as a writer, with non– and semi-fictional works such as Down and Out in London and Paris (1934), A Clergyman’s Daughter (1935), Keep the Aspidistra Flying (1936) and The Road to Wigan Pier (1937). Throughout all of Blair/Orwell’s work is a strong feeling of empathy for the poor and working classes and a desire to act as moral voice and tell their story. Nineteen Eighty-Four (1949) was Orwell’s last and greatest book. He was suffering from tuberculosis when he wrote it, something that casts a grim shadow over the book, and died a matter of months after it was published. Prior to this film, the book has previously been adapted as a 60 minute episode of the US tv series Studio One (1948-58) starring Eddie Albert as Winston and Lorne Greene as O’Brien and as a live television play Nineteen Eighty-Four (1954) for the BBC, scripted by Nigel Kneale and starring Peter Cushing as Winston Smith. The success of the latter led to a film adaptation 1984 (1956), directed by Michael Anderson and with Edmond O’Brien as Winston. The film was generally agreed upon as dull. Orwell’s widow, unhappy with this version, eventually intervened to have it withdrawn from general availability, refusing re-release rights, much to the frustration of film historians like yours truly. In 1980, Michael Radford managed to persuade Orwell’s widow to issue the rights to the book to him, whereupon he mounted this version. 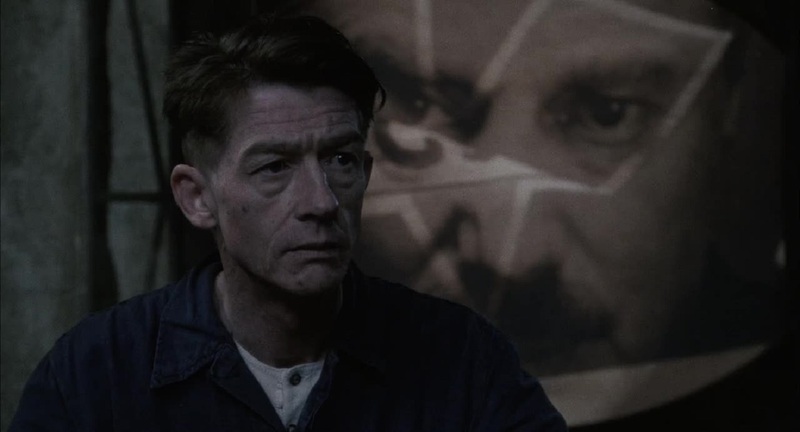 Radford was able to bide his time and not only managed to have the film released in 1984, the year of the book, but remarkably also managed to shoot it during the very months (April-June) that Orwell as the story was taking place according to Winston Smith’s diary entries. The film is a literary adaptation that stuns with its vivid, potent intellectual articulation. The overwhelming bleakness of the story and the brilliance of Orwell’s ideas emerge with a breathtaking clarity. Radford imbues the scenes between Winston and Julia with a haunting pathos. The film is so bleak that Radford is able to invest the image of Suzanna Hamilton placing on an old faded dress or that of the two lovers looking down on a housewife hanging out the washing with a haunting nostalgia that makes them representative of all that is fragile and beautiful about human endeavour. Allen Cameron’s production design – all concrete bunkers and bleakly washed-out monochrome-gray sets – is superb. For Orwell, 1984 was merely the year he was writing the book – 1948 – with the last two digits reversed and Radford and Cameron faithfully preserve the milieu. The film has been beautifully designed in washed-out post-War retrograde – archaic handheld telephones, monochrome tv sets, with the most modern intrusion being a helicopter. John Hurt is as monochromatic as the surroundings, which is just the way Winston should be. The great and underrated Suzanna Hamilton is fiery and charged, and the love scenes between she and John Hurt have an aching emotional nakedness. Richard Burton gives his last ever cinematic performance here and it is simply the best performance of his career, one that was criminally neglected at the major awards that year. His is the capability to present Winston’s soul breaking with such seductive, logically persuasive nihilism that the famous rat scene from the book is merely an anti-climax. 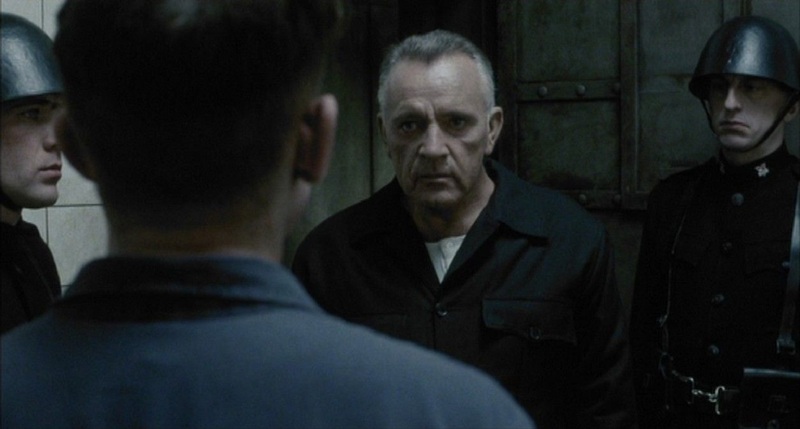 It is sad that none of Michael Radford’s other films since have demonstrated the power of Nineteen Eighty-Four. His subsequent films include White Mischief (1987), the awards-acclaimed and completely overrated Il Postino (1994), B. Monkey (1998), Dancing at the Blue Iguana (2000) and Flawless (2007). The only other Orwell book of fantastic nature is Animal Farm (1945), a savage indictment of the ideological failings and hypocrisy of the Russian Revolution under Josef Stalin written in terms of a talking animals fable. This was disappointingly filmed twice as the animated Animal Farm (1954) and as the live-action Animal Farm (1999).